We are very excited and proud to announce our firearm training facility is in full operation. We are scheduling Kansas Concealed Carry Handgun courses and more advanced levels of training through the NRA, which can be found on our events page. Kansas has “Constitutional Carry” which essentially allows anyone who can legally purchase a handgun to also carry it concealed however, it is essential for anyone carrying a handgun to know the laws that can help you or that can land you in prison. There are also benefits to having your license including reciprocity with other states, which will allow you to carry concealed across state lines. We encourage continued training even beyond the concealed carry course. It takes training and practice to responsibly and confidently produce a defensive handgun under pressure. Learning to shoot well takes time and effort. Our NRA courses will provide you with the knowledge, skills, and attitude necessary to responsibly and more confidently handle and shoot your firearm. Clayton, Kami and Sierra are certified NRA instructors. Clayton and Kami are licensed as a Kansas Concealed Carry Handgun instructors. Our instructors strive to stay current and trained to bring quality practices to every level of shooter. Please take a moment to visit our “Team” page to get acquainted with the members and instructors of Guardian 6. All of our classes involving shooting will be conducted locally at our facility in Southwest Kansas. You will enjoy our range just outside the classroom. 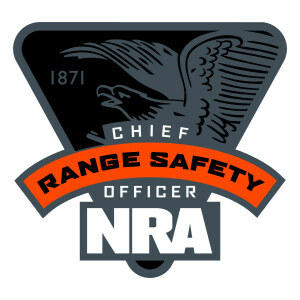 Our facility conducts Range Safety Officer training to certify NRA RSOs, which are essential in running a safe firing line. YOU are your family’s First Responder! At Guardian 6 you can attend more advanced firearm training classes such as the NRA’s Personal Protection Inside the Home (PPITH), Personal Protection Outside the Home (PPOTH), and Defensive Pistol. These courses are geared toward real life situations where you may be forced to use your defensive handgun. Our instructors each bring outside work experience including military tactics (although we don’t teach “tacticool” methods), law enforcement, and emergency medical techniques. I love our first responders and they do an outstanding job. The problem is the average attack only lasts a couple minutes. No matter how amazing their response time is, they will never make it in time to STOP the attack. They will do their best to clean up afterwords, but the damage will already be done. It has been proven time and time again; the best way to stop a bad guy with a gun is a good guy with a gun. We also have a retail division with more information at signs.guardian6.us.